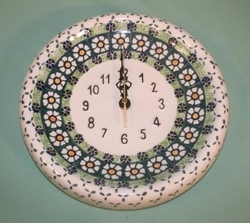 Approximately 9" in diameter, this kitchen clock features the daintiest blooms that border the clock dial and charmingly displays the art of Polish design and craftmanahip. 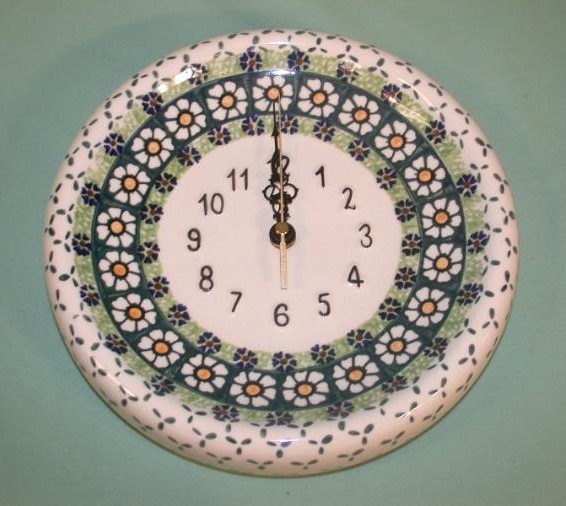 This is a perfect gift to your favoirute hostess or new bride or someone who collects Polish Pottery items. This clock takes 1 AA battery. Lead and cadmium free. that will be an heirloom piece to be cherished for years to come.